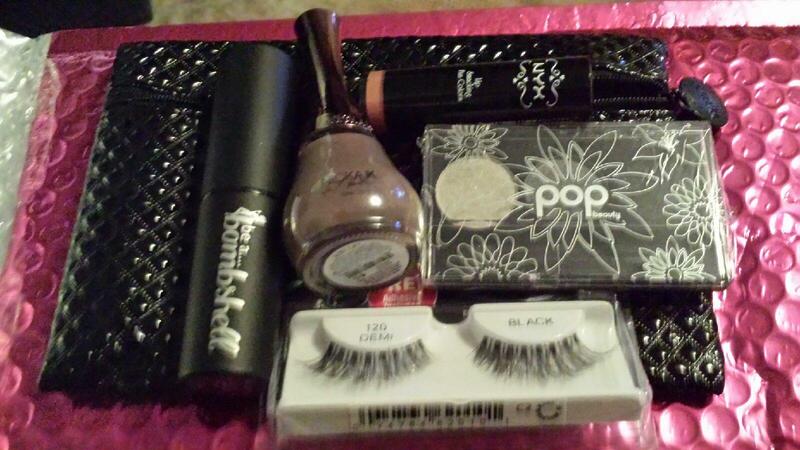 Ipsy is a monthly beauty subscription box. Each month you get 5-6 beauty products inside a makeup bag. If you’d like to subscribe to Ipsy, I’d appreciate you using my referral link. It arrives each month in a pink bubble mailer! This month’s theme was ‘Celebration’. And I’m definitely getting the holiday vibe from these products and bag! Notice they were ALL full-sized products. Woo-hoo! This month’s bag was a sleek textured black one with a red silky lining. 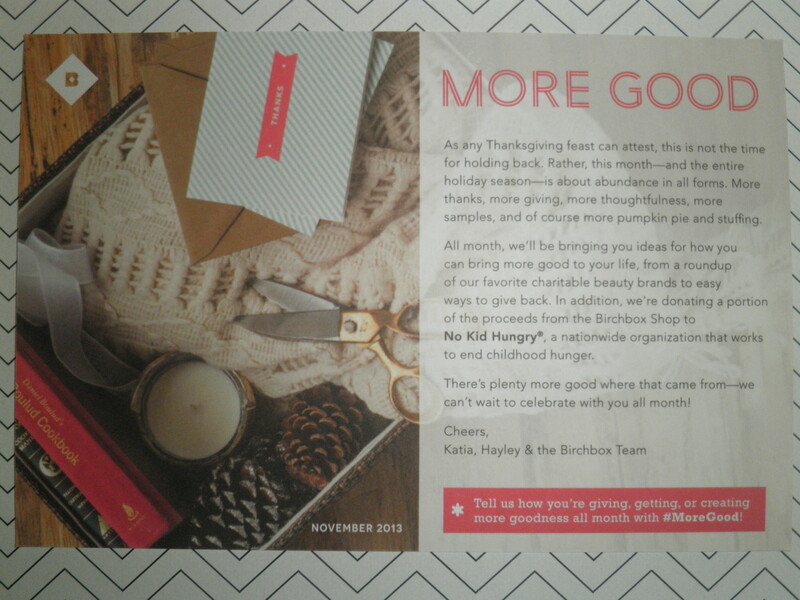 I got the holiday feel from this subscription unlike Birchbox. All of this is holiday party appropriate. I’m not regretting signing up for Ipsy at all! 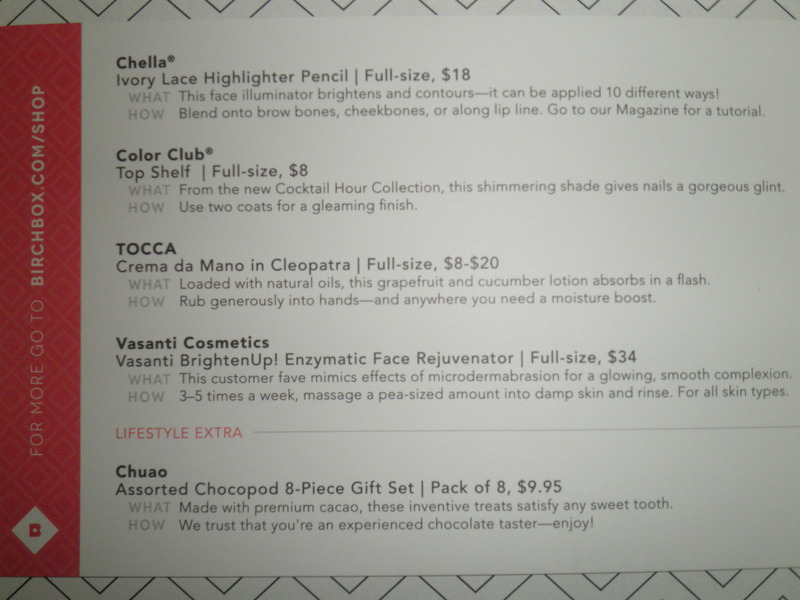 Birchbox is a beauty subscription box for $10/month. If you’d like to sign up please CLICK HERE to use my referral code and get signed up! This month’s theme was ‘Holiday 2013’. Because of the holidays this month they switched up the box design. It’s super cute I must say! 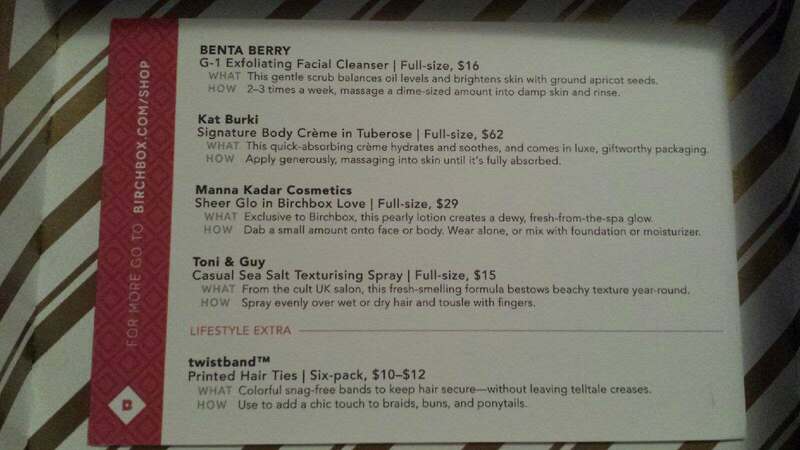 Benta Berry G-1 Exfoliating Facial Cleanser. Everything was is French so I had to look up what this was. As the name implies it’s a facial scrub. It has a nice smell and the granules seem to exfoliate nicely without being too rough. Manna Kadar Shimmer Glo. A shimmer lotion, it’s a peachy-pink color with goldish shimmer. At first I was like ‘seriously, who has used shimmer lotion since 1997!?’. But once you blend it in it becomes a nice highlighter/illuminizer. Not glittery just a nice subtle glow. Kat Burki Signature Cody Crème in Tuberose. Fancy looking little glass sample. The smell is OK, I would call it old fashioned though. I can’t really see myself smelling like that. But it moisturizers nicely. Toni & Guy Sea Salt Texturizing Spray. I haven’t actually used this yet so I don’t know if it works. But it is a nice sized sample and have a nice smell. Everyone also got a ‘Birchbox goes mobile’ digimate. It’s a little sticky piece of screen cleaning cloth that sticks to your phone. You can pull it off, clean your screen, and stick it back on your phone. It’s a nice little extra, but I probably won’t use it (well I won’t stick it to my phone, I’ll just use it to clean off my screen). I’m still having that love hate relationship with Birchbox. I felt a little disappointed this month since it is December (holidays) and I was expecting the best box ever. I didn’t get that vibe, I didn’t even get a holiday vibe at all from my box. Except from the box it’s self it was really cute and holiday themed. Sometimes I feel I just get leftovers (ahem, seahorse hair tie). The box wasn’t a total flop though like in previous months. There were nice sized samples and neat products. November Birchbox & Ipsy Reviews. Yes, I know I’m a little late to the game this month. You know since it’s December, sorry! But I’ve just been so busy. This month is also my first month of subscribing to Ipsy. But let’s get to the reviews! 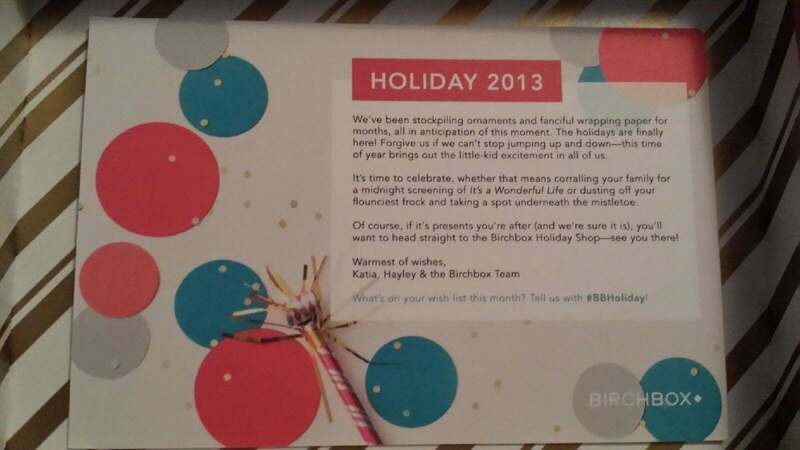 Birchbox is a beauty subscription box for $10/month. If you’d like to sign up please CLICK HERE to use my referral code and get signed up! The Birchbox theme this month was More Good. Here’s the card that came with it. This is what my box looked like this month. And of course there is the content card with prices. I was really happy with this month’s box. 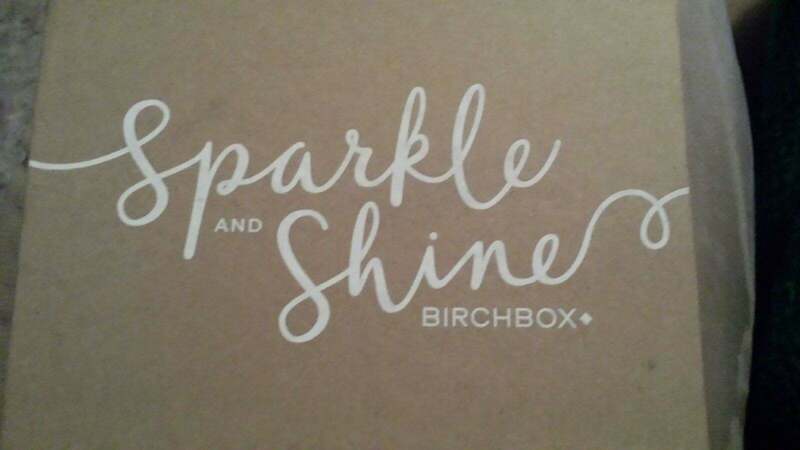 Birchbox really stepped it up! Although I am sick of getting face scrubs! Hopefully their boxes will continue to be this good. Notice there are NO tiny samples or foil packet!? Finally! Color Club Cocktail Hour Collection in Top Shelf. Mini sized, but still plenty. I nice copper color. Perfect for the holidays. Vasanti BrightenUp! Enzymatic Face Rejuvenator. Honestly, I haven’t used this yet. I get too many face scrubs in these boxes! Chella Highlighter Pencil in Ivory Lace. This is a nice sized sample. It’s a really nice color and texture for highlighting. I read that you can use it on your waterline to make your eyes pop as well. Chuao Chocolatier Chocolate Bar in Honeycomb. OK, you guys know how I hate receiving stuff like this is a beauty box. But this was so good, really! Tocca Crema da Mano Luxe in Cleopatra. Smells like grapefruit and cucumber. Sounds like a strange combo but it actually smells pretty good. Now onto Ipsy. I had been really disapointed with my Birchbox’s and jealous of peoples Ipsy bags so I decided to subscribe to Ipsy as well. It’s the same concept at Birchbox except the beauty items come in a makeup bag each month. 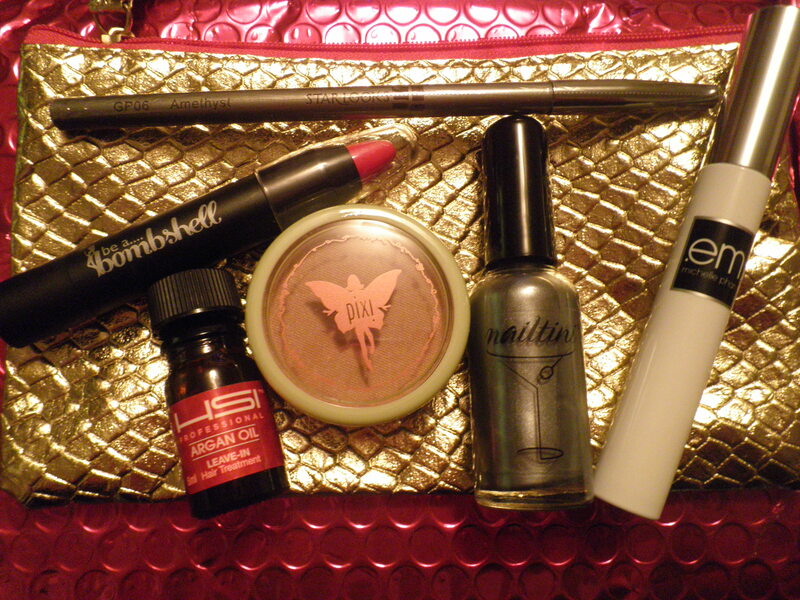 Ipsy seems to be geared more towards makeup whereas Birchbox includes all areas of beauty. 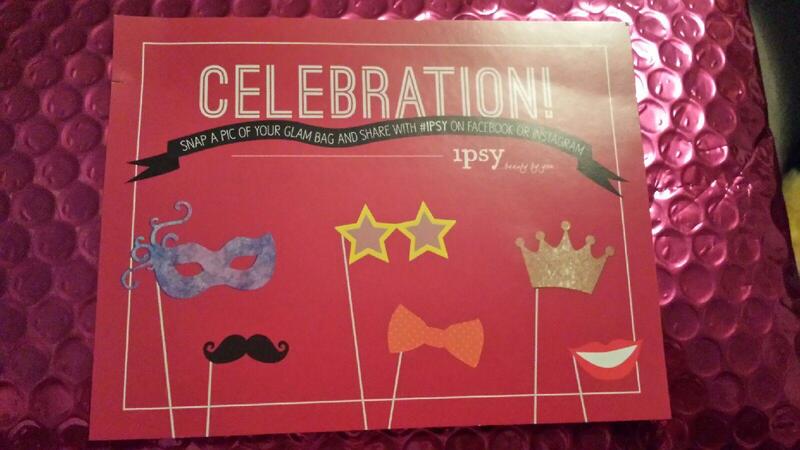 If you’d like to subscribe to Ipsy, I’d appreciate you using my referral link. It arrives each month in a pink bubble mailer! 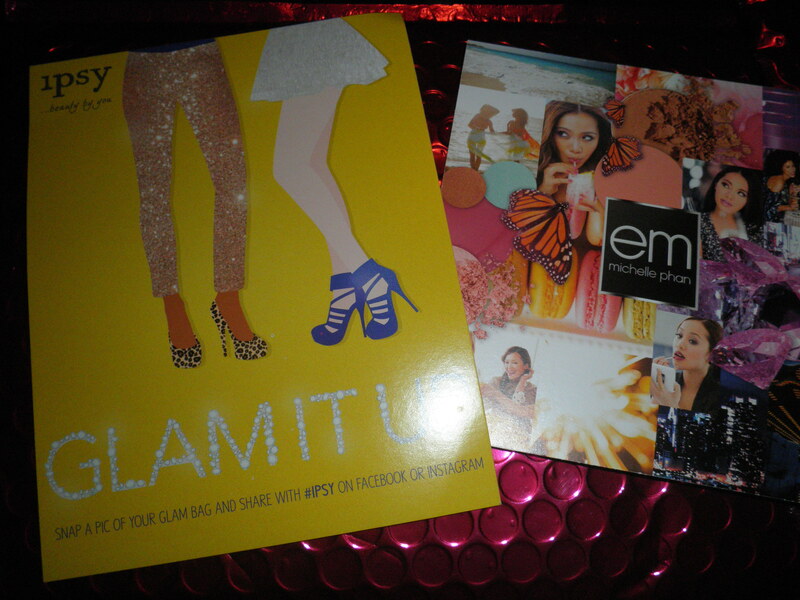 This month’s theme is Glam It Up. Here are the content cards, on the back includes the monthly discounts to the products in the bag. So here’s what I got in my Ipsy bag this month. The bag is a shimmery gold snakeskin with pink trim. Basically ALL full-size, how awesome! em michelle phan lash gallery mascara in brown. Looks like a nice product, the brush looks nice. I haven’t used this because I plan to give it away since I don’t use brown mascara. Be a Bombshell Lip Crayon in Hot Damn. So many red lip colors… But this seems to be a nice red color, not a which corner are you working red. Nice texture also. Nailtini Straight Up Color Nail Lacquer in Caviar Cocktail. Really pretty silver color. And I’m really glad I got this because the other option was a copper color and I received a copper polish in my Birchbox (see above). Pixi Beauty Bronzer in Subtly Suntouched. Nice bronzer and a nice color. Gives you a nice glow without being to shimmery. Starlooks Gem Eyeliner Pencil in Amethyst. Haven’t used because I’m afraid of (makeup) change. It is a really pretty shimmery color. HSI Professional Argan Oil. Haven’t used since I have several other bottles. I still don’t know how I really feel about argan oil in general. That’s right folks SIX products! And most are full-size and if they aren’t there is still plenty to use!